99 cents at the Stop n Go. 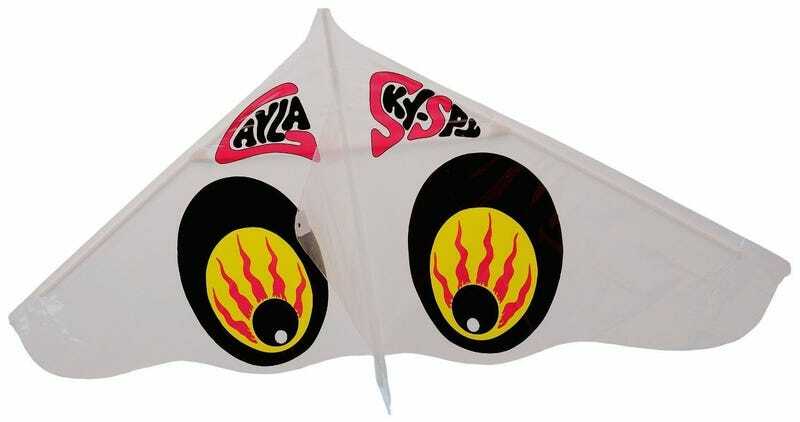 Several of us bought convenience store kites when we were in Florida and had dogfights on the beach. Vintage kites from Library of Congress. 1 photographic print. | 2 men with trapezoidal kite; another man stands beside spool of wire. 1 print : color ; sheet 56 x 43 cm (poster format) | Poster shows a kite on a telephone line. 1 photographic print : gelatin silver ; 9 x 31 in. Flaging [sic] kite on Kasagashira, Nagasaki.